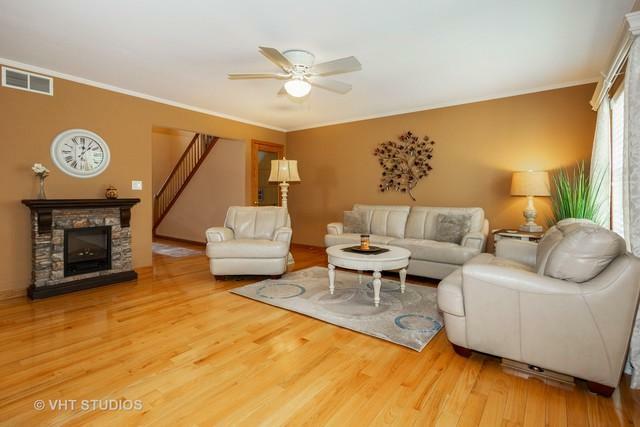 THIS IMMACULATE 3 BEDROOM, 3 1/2 BATH DUPLEX IN MAINTENANCE FREE HERITAGE LAKE IS A RARE FIND! 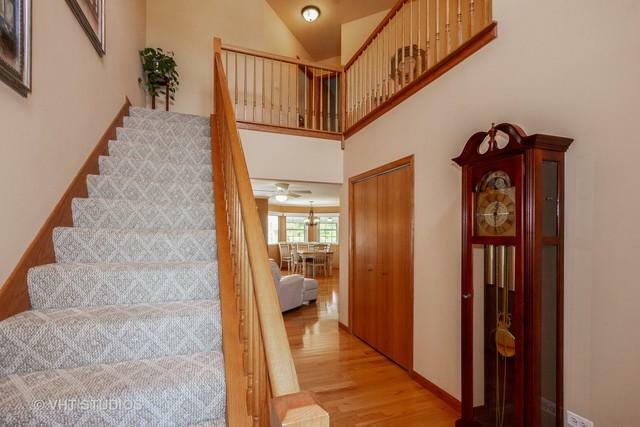 GREETED BY A TWO STORY FOYER, AND ACCENTED WITH GLEAMING HARDWOOD FLOORS THROUGHOUT THE ENTIRE FIRST FLOOR, YOU'LL FIND A SPACIOUS LIVING ROOM, DINING ROOM, A REMODELED KITCHEN WITH WHITE CABINETRY, BUTCHER BLOCK COUNTERTOPS, A TILED BACKSPLASH, AND A LARGE PANTRY. UPSTAIRS IS HOME TO THE MASTER BEDROOM SUITE WITH A VAULTED CEILING, SITTING AREA, WALK IN CLOSET AND GLAMOUR BATH WITH DOUBLE VANITIES AND AN EXPANDED WALK IN SHOWER. THE FINISHED BASEMENT OFFERS ADDITIONAL LIVING SPACE WITH A REC ROOM, WET BAR / KITCHENETTE, AND FULL BATH. 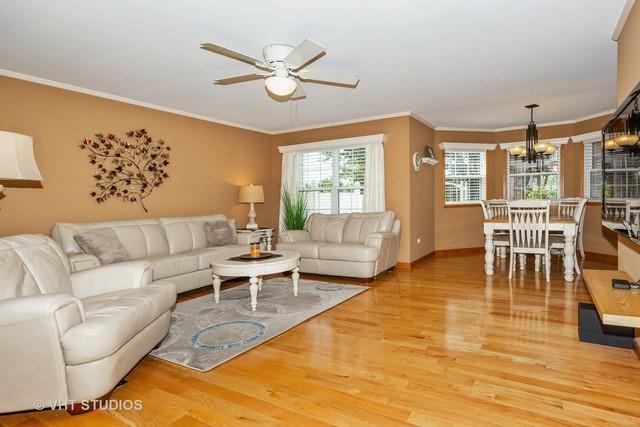 ENJOY EVENINGS ON THE SCREENED IN PORCH WITH NO BACK YARD NEIGHBORS AND SHADE TREES. THE FENCED IN YARD AND HAS A SHED, LIGHTED PAVER WALKS AND A PAVER PATIO. DON'T MISS THE HEATED GARAGE WITH A STORAGE LOFT. 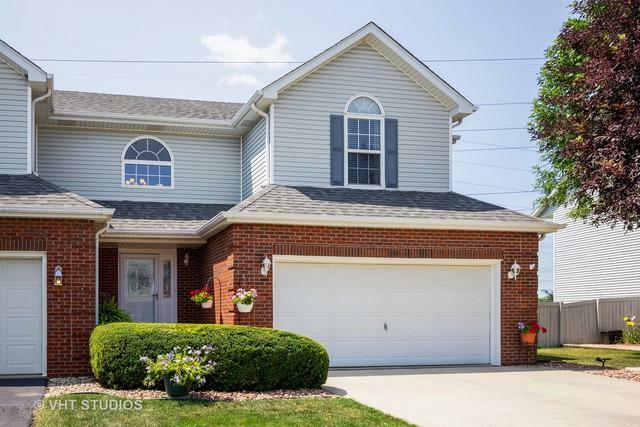 LOCATED IN PLAINFIELD TOWNSHIP WITH PLAINFIELD SCHOOLS, JOLIET WATER, AND ONLY SECONDS AWAY FROM ROUTE 30 SHOPPING AND RESTAURANTS.THIS WILL NOT LAST!